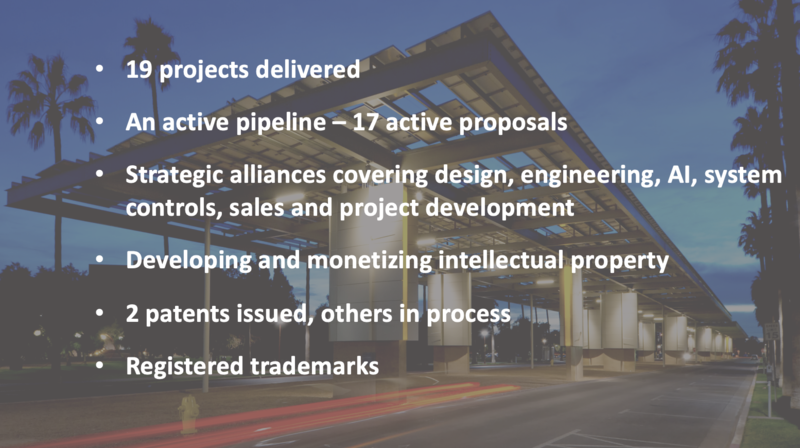 A large, attractive pipeline of new projects. An asset-light business model that enables rapid scalability. 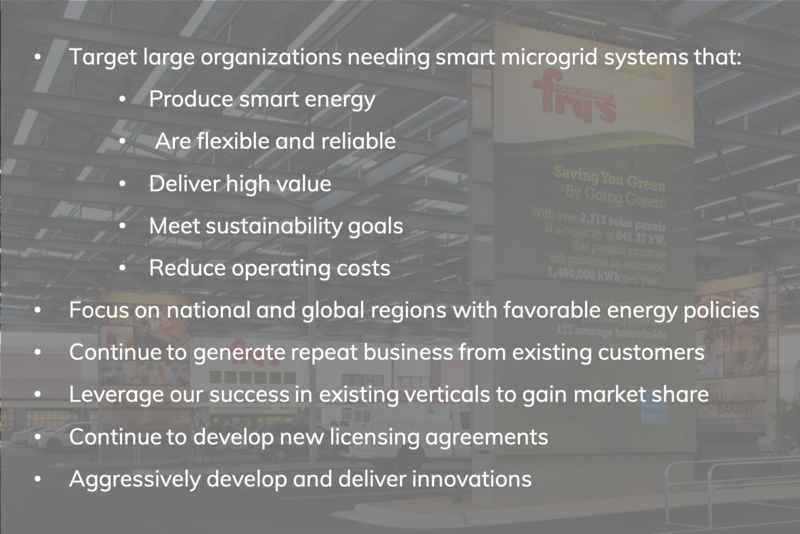 New designs and technologies under development to continuously improve the microgrid equation and generate value beyond the energy they produce. A “double bottom line” business – we make money for our investors and develop projects with a positive economic, social and environmental impact. The problem: Much of the world is still without power. . . And our world's energy systems are unsustainable. An estimated 16% of the world’s population – or 1.2 billion people* - live without electricity and, as a result, have limited access to healthcare, education, and even clean water and food. Our existing energy system relies on remote, carbon-generating power plants, plowing over land to build wind or solar farms and thousands of miles of transmission lines. The system is vulnerable to a catastrophic power outage and, according to the National Infrastructure Advisory Council, such an outage could last weeks or even months. Microgrids use clean, renewable sources, like solar, to generate energy close to where it’s used and deliver it directly to the people who use it. 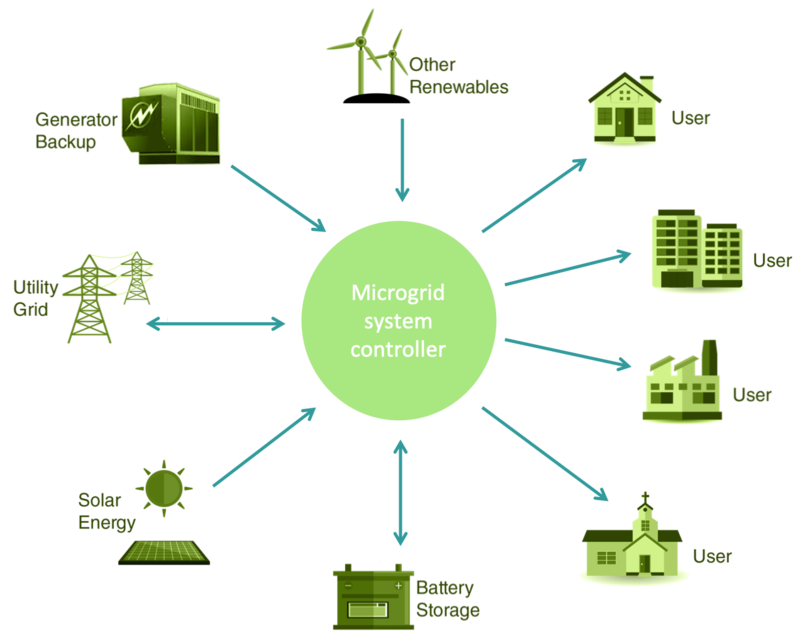 Microgrids can bring electricity to places where it’s needed most, supplement utilities with a sustainable source of energy, and provide vital back-up power when the utility grid goes down. We’re delivering results and gaining traction. We have assembled a team of entrepreneurs who are experienced at driving disruptive innovation into markets. 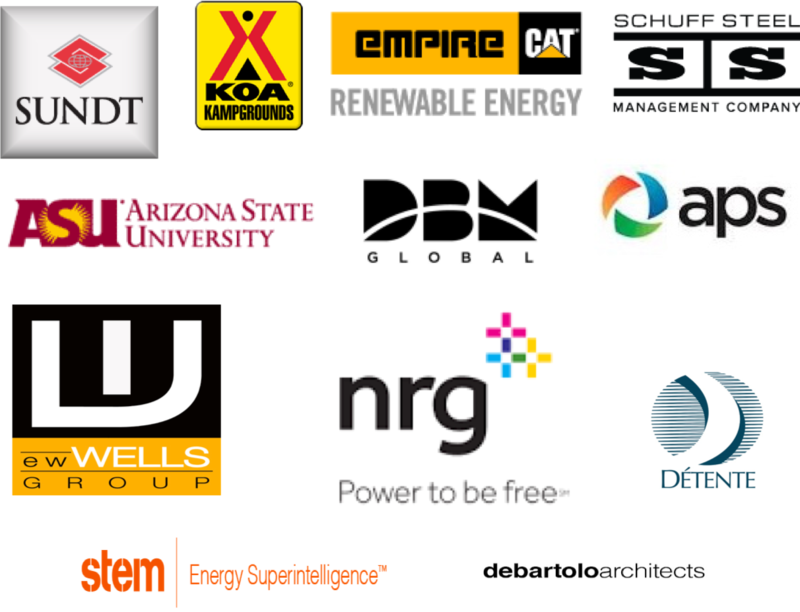 Our leadership team is experienced in technology, energy, construction, and finance, and is well positioned to lead Strategic Microgrid’s fast paced growth. Steve is an expert in building, leading and monetizing companies. He has co-founded, led and delivered successful exit strategies for firms in the power infrastructure, civil construction and heavy equipment distribution industries, and served as partner and president of Klondyke Construction, LLC and Elemental Energy, Inc. Steve has a bachelor of science degree and an MBA from the University of Oregon. Tom is an inventor, entrepreneur and business leader who holds more than 25 patents in various fields. He co-founded Strategic Microgrid and was the CEO until 2016, and leads patent and new product development for the company. He has also developed blood processing technology and founded and led Transfusion Technologies Corporation. Tom has a bachelor of science degree in Engineering from Stanford and an MBA from Harvard. Bob is known as an innovator in the energy industry. He created the first home energy analysis program to be approved by the U.S. Department of Energy. Bob is a nationally recognized speaker and author on energy, conservation, and demand-side management programs, and has a bachelor of arts degree in in Education from Arizona State University. Don has built a career selling, designing, and constructing complex, technically sophisticated buildings and facilities. 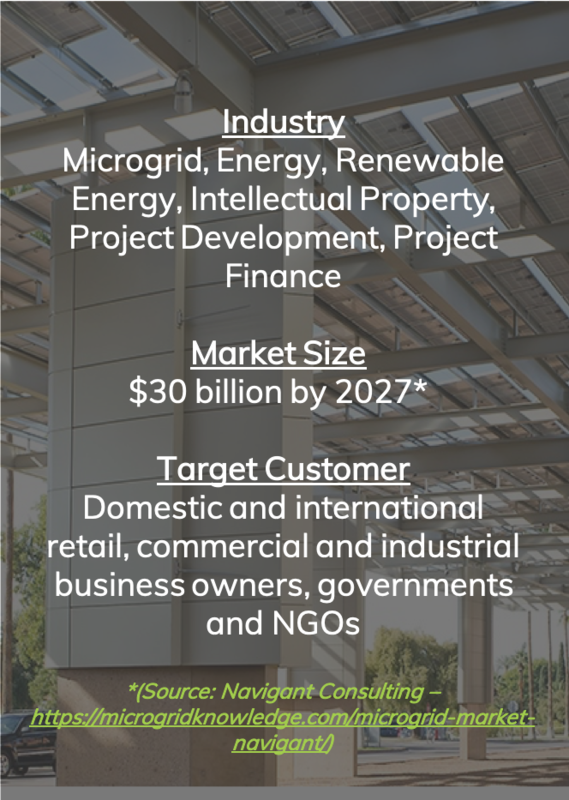 He leads both strategy and sales for Strategic Microgrid. Previously, he held executive leadership roles at M+W Group and AECOM. He has bachelor of arts degree in Economics from the University of Washington and an MBA from the University of Hawaii-Manoa. Mike is a business and investment strategist with extensive experience in construction and real estate. He was the President of Tri-City Mechanical and then served as the original COO of Comfort Systems USA (NYSE:FIX) through its IPO, secondary offering and acquisition of over 100 companies with a market cap of $450M. Mike served as COO until 2018 and is also President of Landworks AZ, a commercial developer and property manager. Mike holds graduate and undergraduate degrees from Arizona State University. Ken is the former Chief Administrative Officer at Pike Electric Corporation and advises executive management in the areas of energy development, international infrastructure development, structured project financing, government contracting and international business development. He served on the U.S. Chamber of Commerce’s Labor Committee and the Transmission and Distribution Systems OSHA Strategic Partnership’s Steering Committee. In 2013, South Carolina Governor Nikki Haley appointed Ken to the Energy Advisory Council/Committee where he served until 2016. Mike’s career spans over 30 years in the energy industry. His experience ranges from serving in operations, management and leadership roles for a range of complex, mechanical, electrical, generation and power delivery projects within the Heavy Industrial and Utility Industry segments. He has extensive technical experience serving commercial / industrial clients in large renewable, thermal grid tied projects as well as power delivery and substation projects to 525EHV throughout North America. Mike was founder and President Edison Power Group which was later acquired by PLH Group. Mike also served as EVP, Power Delivery at Infrastructure Energy Alternatives, LLC; Vice President, Transmission and Substations at Kiewit Power and VP of Western Operations at Infrasource.